The New Mexico Environment Department (NMED) Surface Water Quality Bureau (SWQB) invites the public to comment on the draft 2014 - 2016 State of New Mexico Clean Water Act (CWA) Sections 303(d)/305(b) Integrated Report, including the CWA Sections 303(d)/305(b) Integrated List of Assessed Surface Waters (Integrated List) as Appendix A. The Integrated List identifies whether or not a particular surface water of the state is currently meeting its designated uses as detailed in the State of New Mexico Standards for Interstate and Intrastate Surface Waters (20.6.4 NMAC), through application of the State of New Mexico Procedures for Assessing Standards Attainment for the Integrated Sections 303(d)/305(b) Water Quality Monitoring and Assessment Report (Assessment Protocols). “Category 5” waters on the Integrated List specifically constitute the CWA Section 303(d) List of Impaired Waters. Copies of the draft list and any of the above supporting documents may be obtained via download from the SWQB website www.nmenv.state.nm.us/swqb/303d-305b/2014-2016 or by contacting Gary King at (505) 827-2928, Gary.King@state.nm.us (physical address information provided below). 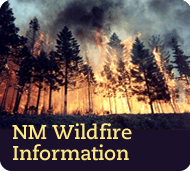 Electronic comments are preferred and should be sent to: Lynette.Guevara@state.nm.us. Following the close of the public comment period, the SWQB will prepare the final draft Integrated List as amended and the Response to Comments. The Integrated Report and List will be presented to the New Mexico Water Quality Control Commission (WQCC) for review and approval. The Integrated List and the Response to Comments will be available to the public via download from the SWQB website, or upon request, 10 days prior to the regularly scheduled WQCC meeting (tentatively set for August 12, 2014) where SWQB plans to present the final draft Integrated List. The final Integrated Report and List, as approved by the WQCC, will then be submitted to the U.S. Environmental Protection Agency for their approval.